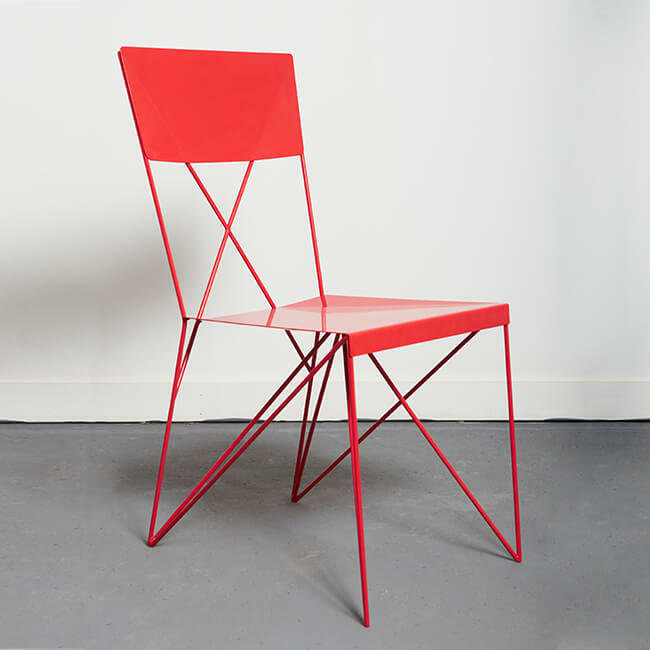 Designed to be the antithesis of the Shadow Chair, this is a design of pure structure and functionality. 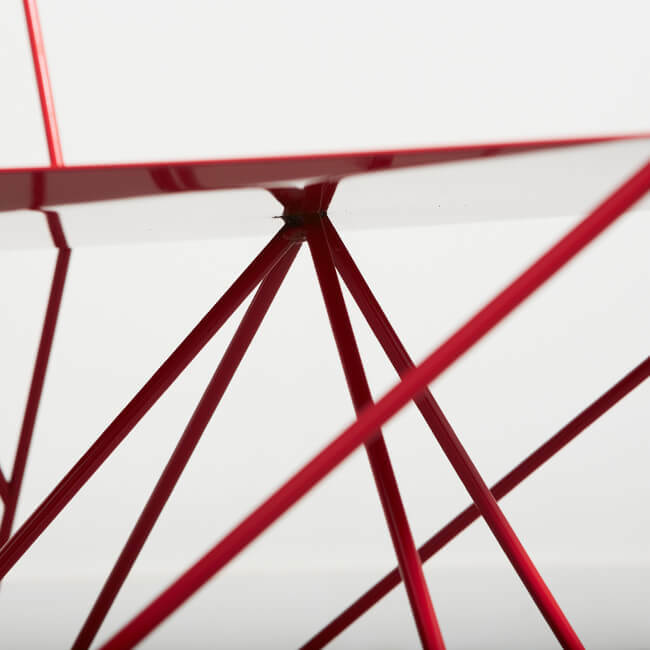 With a single continuous rod of metal creating the chair, every piece of this chair is working as a part of the structure, including the seat and back. The style and form of this design are completely dictated by the structure and physics of the chair, making it extremely strong with the very least amount of material possible. Available in a number of bespoke finishes.